A new dress for a surprise birthday party. To get out of my sewing rut I decided to sew the Macaron dress. 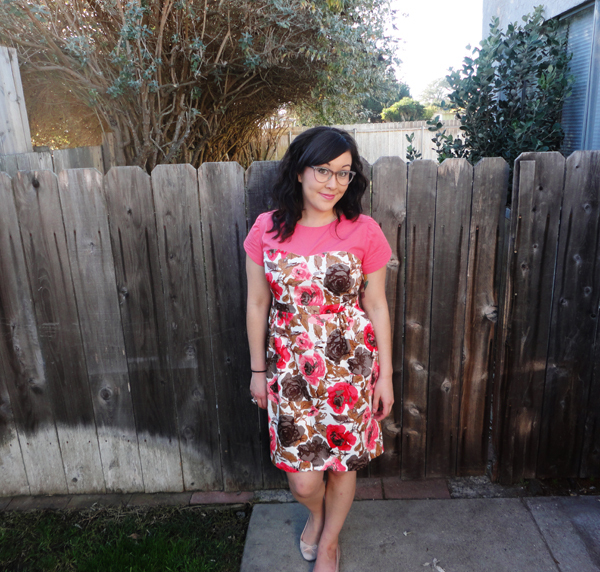 I originally made this dress back in September, but wasn't 100% satisfied with it due to errors I made on my part. The one thing I loved was the fit and the best part was that I literally did not make one single modification to it!! When I last went to Mood I bought some pretty floral fabric with the intention of making another Macaron, but didn't even realize that I picked the exact color combo as my first one. Oh well. I made a couple of changes to this version. Instead of pleats I did gathers and I hand sewed the hem. I really like the way a hand sewn hem looks, so it may be my go to way of finishing. It takes longer than using a machine, but I like the clean look. My biggest struggle with this version was the zipper. There wasn't a struggle sewing it in, but the pieces of fabric didn't match up where they should have, by at least a half inch. Luckily it's hidden by my arm, so no one will notice, right? This is such a pretty Macaron I love the fabric is looks so adorable on you! The Macaron is the best dress and I am sure you got a lot of compliments at the party! Happy 30th to your hubby! And she's back on the horse! Good call on the gathers--I like the way they look. Beautiful job Erin!! It looks great Erin!!! Perfect for spring. I so badly wish it was spring. Congrats on getting out of your rut, hooray! Thanks, Carlee! I also wish it was spring. I'm sick of wearing a huge coat and fingerless cloves everyday. Thanks, Rochelle. I think you will be hooked when you do it! Wow, it's really cute. The bright colours always suit you :) Must have been great knowing it would fit so well! Thanks, Jo! 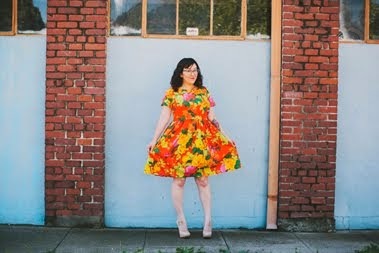 I don't know what it is, but I am always drawn to prints and bright colors. 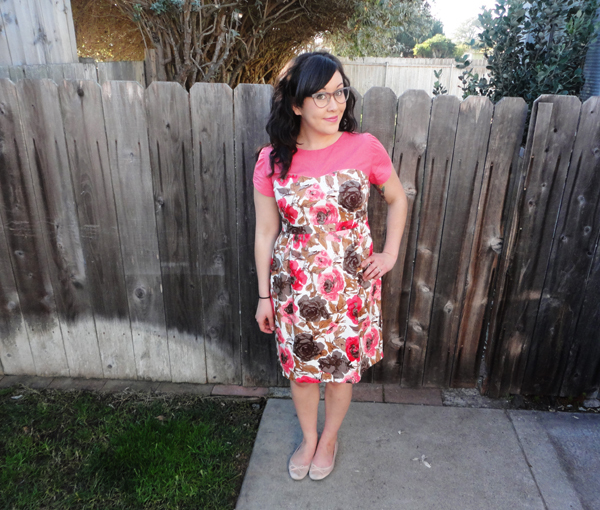 A few changes to make a pattern work is worth the effort and your work looks great on you! This is gorgeous! I love the colours and the gathers. 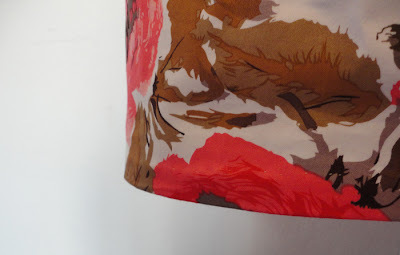 I like a hand-stitched hem too, but they are definately more work! Such a pretty version! Really love the big floral print. I second the hand stitched hem - so worth the extra time. Thank you. 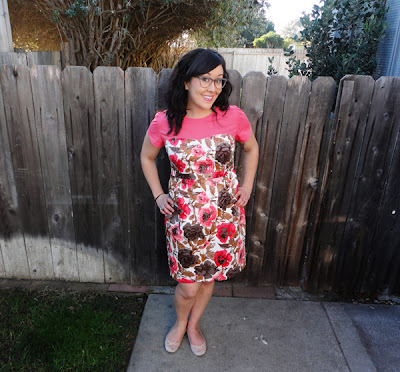 Next project up is your dress! That is super rad fabric! Lovely work on this and the gathers are super cute :) Hope y'all had a lovely night at the party! Thanks, Amanda! The party was super fun. I thought for sure that he knew something was up... but I was so happy that he was surprised. This is a great Macaron! I love when a pattern fits you perfectly. I had my first perfect pattern fitting experience last week. That means you should make 100 of these dresses in different colors. 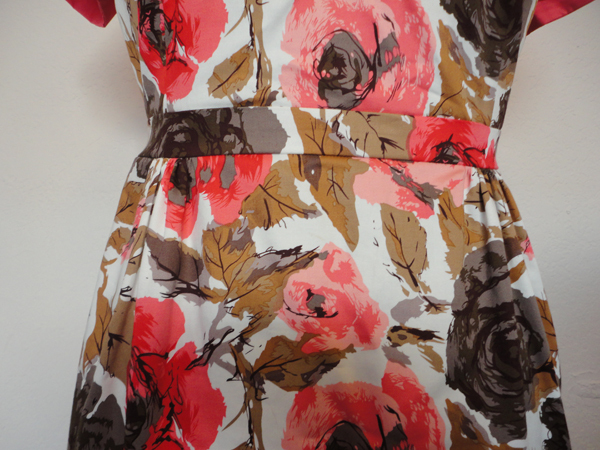 Oh my, this is such a beautiful dress...the prints/colours are my favourite I've seen yet! Thanks, Marie. I love the floral so much and want to buy more... I'm just not sure if I need two dresses in this print or not. Is that too much? I can't wait to see what you make. Do you have a dress in mind? Love it! And the fabric of course :) It looks really fantastic on you! Thanks, Jill. Did you ever go buy some? Oooh, what a pretty, pretty dress! 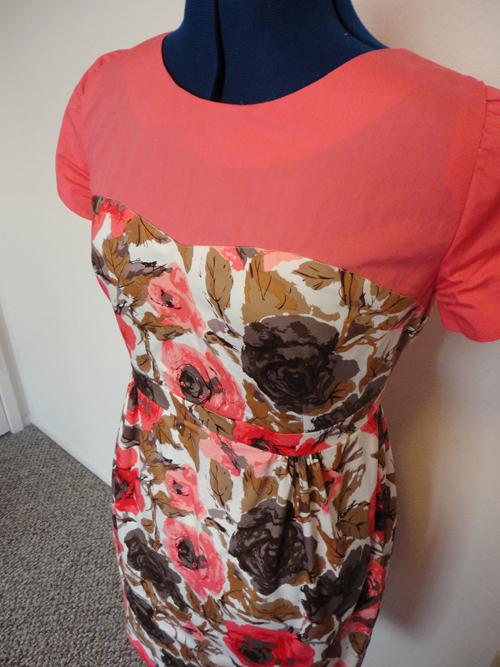 I love the colours and the rose print fabric is just lovely! It's beautiful! Looks great on ya! Just gorgeous. I love the black flowers mixed in with the bright! I LOVE this! I literally gasped out loud when I saw it! Great job, girl (and happy birthday, Luke)! Love this dress so pretty beautiful!